There are millions of animals out there, but only a few can really be domesticated. Which ones make great pets? 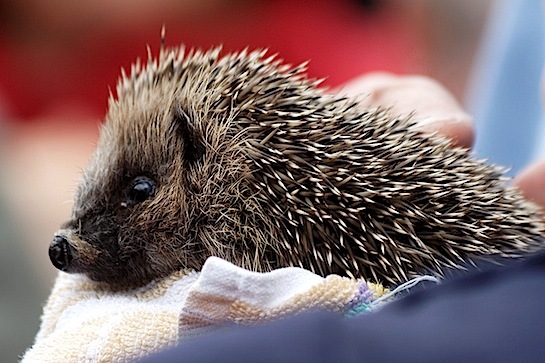 Here are 5 CUTE exotic pets to consider. There are millions of species of mammals, fish, reptiles, birds and amphibians — how do you know which exotic species to choose as your next pet? As we all know, animals are wild creatures and, in fact, only a few exotic animals can suffice for a house pet. For instance, a boar: not so much an oversized lap dog as it is a life-threatening time bomb waiting to charge. There are many options for wild pets that are not a threat to your safety, however, and below are five of the most interesting animals. Also included are some tips on how to care for them to ensure the animal’s well-being as well as your own physical safety. Before considering keeping any animal as a pet, please consider the time and responsibility that goes into caring for that animal, especially an exotic one with unusual habits and behaviors. Each of the following has special needs, and in some cases you’ll need a permit to own it. This reptile is an Australian native but is able to survive in various habitats, ranging from deserts to dry forests. 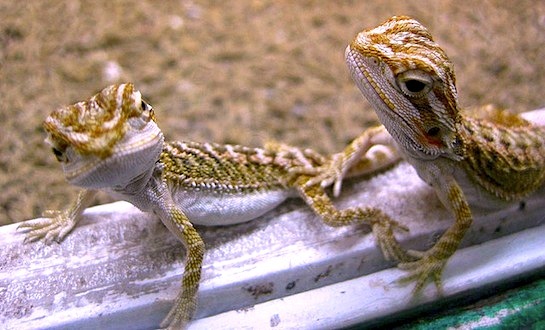 When in captivity, bearded dragons tolerate their surroundings with minimal stress and only require a secure container where they feel safe to sleep, hide, eat and drink. Their habitat should be a stable temperature between 70 and 100 degrees Fahrenheit with a UVB light source and proper humidity. One thing to keep in mind: Male bearded dragons are very territorial. Therefore, one per cage or a very large cage accommodating separate territories will have to be considered. These little guys are semi-aquatic and mildly poisonous, hence their bright orange belly. 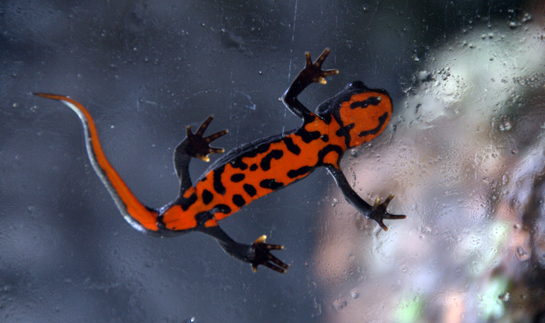 Chinese fire belly newts feed off small invertebrates and can live in various-sized spaces as long as they are supplied with both land and water to reside in. They have a surprisingly long lifespan of 10 to 20 years, so if you are considering owning one of these small pets, remember the length of time you will be responsible for it. 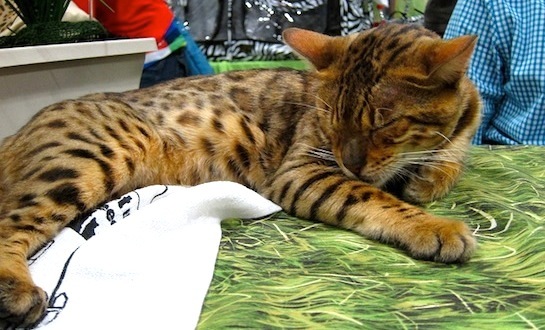 Don’t be fooled; this hybrid feline is not related to a bengal tiger. The gorgeous bengal cat rather has spots similar to those of a leopard, though it acts more closely to a domestic cat than any feral feline. They are expensive and larger than your average tabby cat when full grown; however, other than that, they require care similar to any other fuzzy feline. Everyone remembers Sonic the Hedgehog, right? This blue animated creature actually does exist — and while they’re neither blue nor crime fighters in real life, they are full of energy, curl up into a tight ball, and erect their sharp quills out of their body in an attempt to stab their attacker. They need a way to exercise when kept in captivity since they are prone to overeating and must exert all of their built-up energy. Last but definitely not least is one of the most popular exotic pets to own. 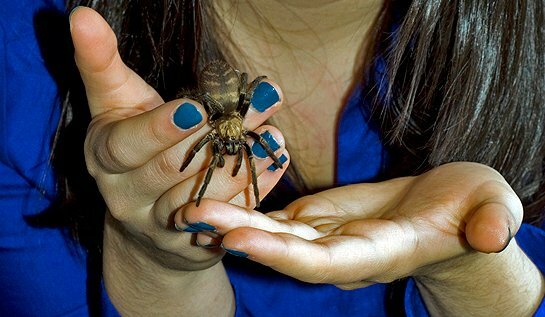 Tarantulas look fuzzy and soft, but they are dangerous and not much of a cuddle bug. It’s important to remember that they do bite; and although the bites are usually not venomous to humans, some people can experience an allergic reaction. These arachnids gained popularity as pets because they are interesting to look at during everything from feeding time to the molting process. But keep in mind that female tarantulas can live up to 20 years in suitable conditions. These are just a few of the cute exotic animals that make great pets and are not listed as “high risk” by the International Union for Conservation of Nature (IUCN), making it legal and moral to care for one of these critters yourself. Remember to always check your local and state regulations first. If you seem to have a flair for wild and bizarre creatures, becoming a veterinary assistant or even a veterinary technician could be just the thing to ignite that fiery passion within you. Whether you are pursuing this training or not, however, you should research your need for any pet permits and everything about the exotic animal. Plan for the duration of your new pet’s life before deciding to parent any of these adorable creatures.